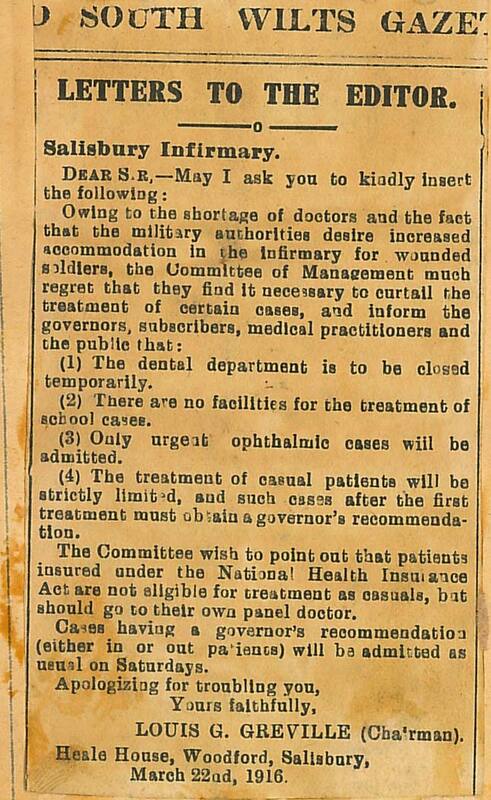 The press cutting shown below from the South Wiltshire Gazette explains the strain the hospital was under during World War 1 and how services were cancelled to accommodate the military cases. 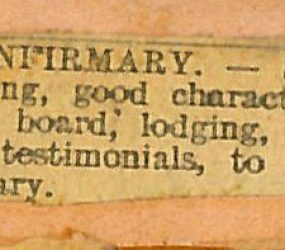 Throughout the war, because of a lack of available doctors, the Infirmary constantly advertised for House and Assistant Surgeons. From a book of newspaper clippings below you can see that wages were dramatically increased to tempt applicants. 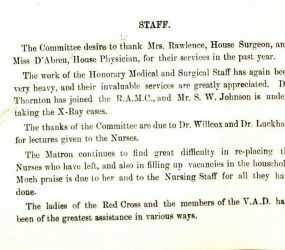 In contrast to the wages of the House Surgeon, during 1915 a Second Porter could expect to earn £25 a year that included board, lodging and washing. 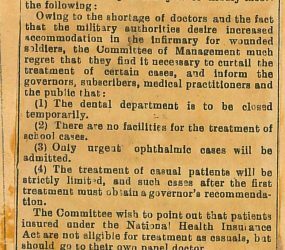 For the first time in 1915 the advert for House Surgeon added that ‘women candidates will be considered’ and later included that candidates must be ineligible for Military Service. 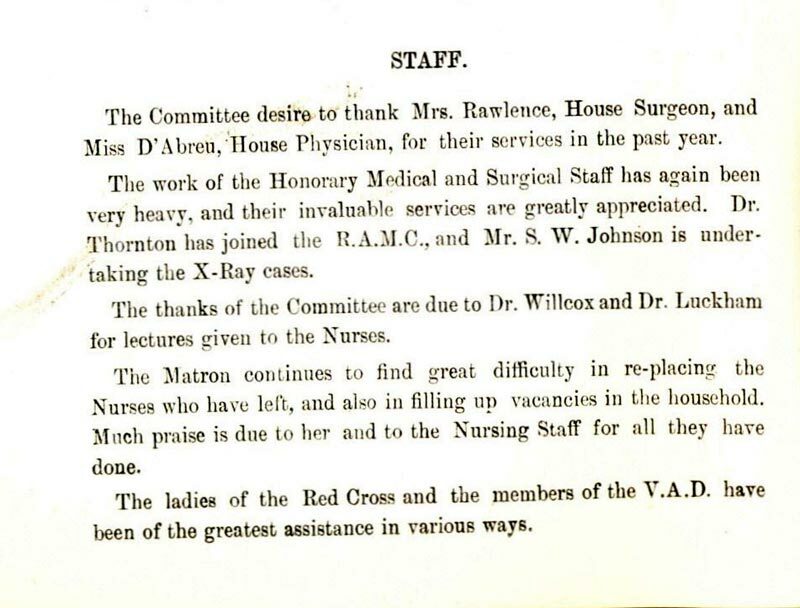 In 1916, Miss Daphne Gertrude D’Abreu was House Physician and Mrs M Rawlence was House Surgeon; later Miss D I Dobbin became Assistant House Surgeon in 1919. Thus proving women began working in these male dominated roles during World War 1. This came at a time when women were still being denied the right to vote, but women’s roles as part of the war effort changed the political mood. 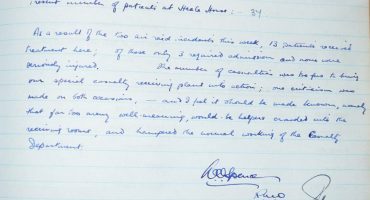 Women who were householders over the age of 30 got the vote in 1918; women over 21 had to wait until 1928 to get the vote. Again as more and more men enlisted for war, women increasingly took on different roles. Women Voluntary Aid Detachments (VADs) began to volunteer as ambulance drivers. 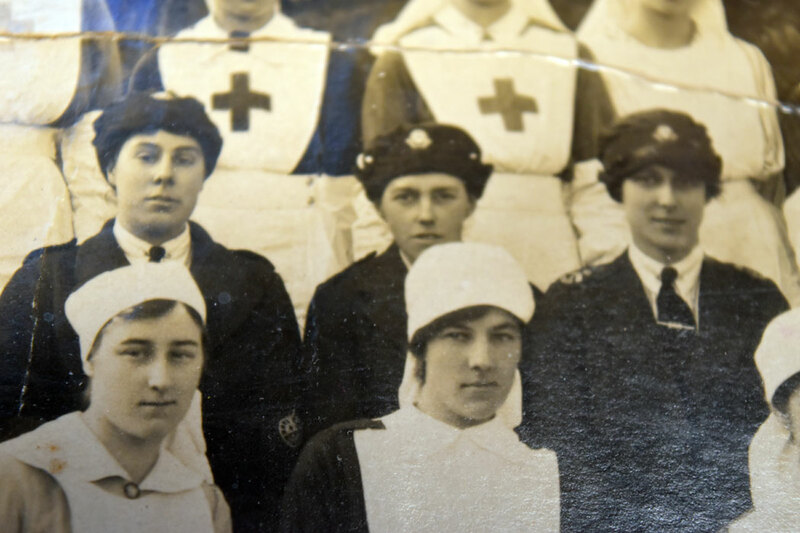 In the photograph of World War 1 staff at the Harnham Red Cross Hospital you can see 3 women ambulance drivers. 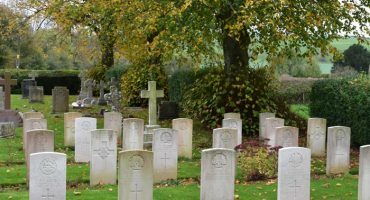 They wore a dark coloured uniform. Unlike nurses who wore white to be spotlessly clean, the dark uniform was needed as driving open-topped World War 1 ambulances meant they were out in all weathers and got very dusty or muddy. Running repairs on the engines at all times of the year was dirty work. 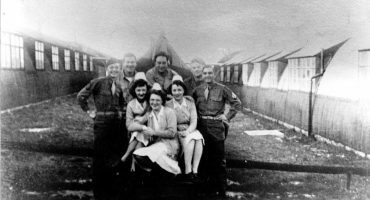 Ambulance drivers (men and women) were more likely to have come from more well-to-do families, as very few people at this time had access to motor cars or were able to learn to drive. 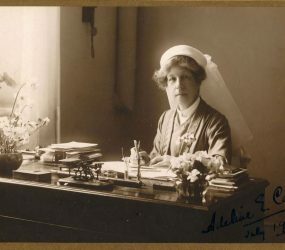 Miss Adeline Cable (pictured above & below), who was Matron of Salisbury Infirmary during the war, received the decoration of the Royal Red Cross ‘Civil Nursing Service’ award. This was presented to her by the King at Buckingham Palace on July 10th 1918.